Motorola will launch not one two or three, but four ‘G’ series phones this year, the names of which are Moto G7, G7 Plus, G7 Play, and G7 Power. We already know a lot of about all these devices, especially the design. The official press renders of all these phones leaked yesterday, revealing the design of each member of the G7 family. 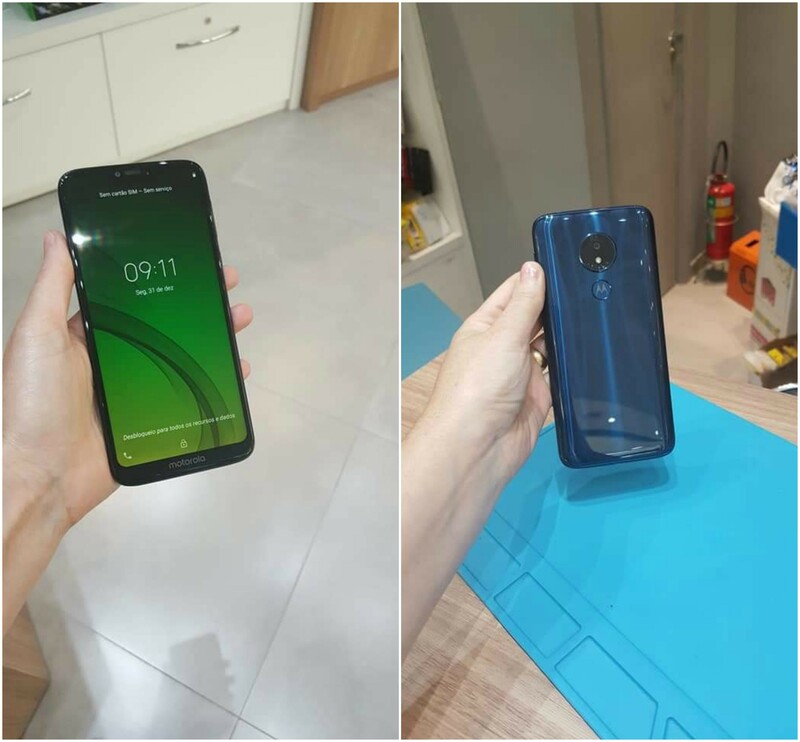 Today, the hands-on images of the Moto G7 Power got leaked, and these images not only revealed the design and some specs, but also the pricing for the Brazilian market. 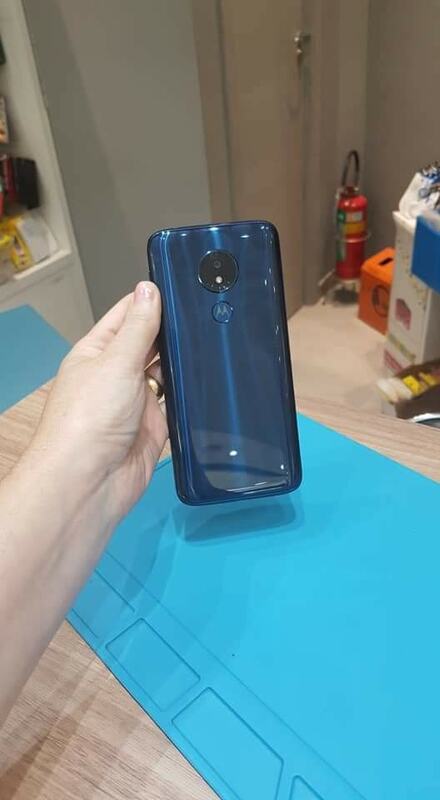 So, the Moto G7 Power has a design similar to the Motorola One Power from the front. The only difference is that the notch on the G7 Power is smaller than the one on Motorola One Power. Still, it is not a waterdrop notch like on the G7 and G7 Plus. The phone has a huge bottom chin where the company has slapped the logo. On the rear, the G7 Power has a glossy finish, and it cannot be said if there is a real glass on the back. 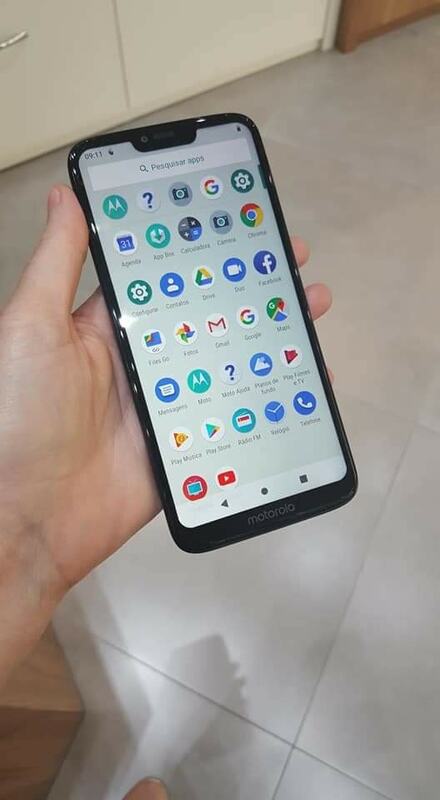 Who knows maybe Motorola steps up its design game by adding glass back on its budget phones! Anyways, there is a single camera on the rear placed inside a circular module that also houses the flash. The fingerprint scanner is also placed on the rear, underneath the Motorola logo. And finally, talking about the specifications that were revealed by these images, the Moto G7 Power has a 6.2-inch HD+ 19:9 display with a notch, an octa-core 1.8GHz processor, 3GB RAM, 12MP rear camera, 8MP front camera, and a massive 5,000mAh battery that supports Turbocharging as well. Now the processor could be the Snapdragon 632, but that’s not confirmed yet. 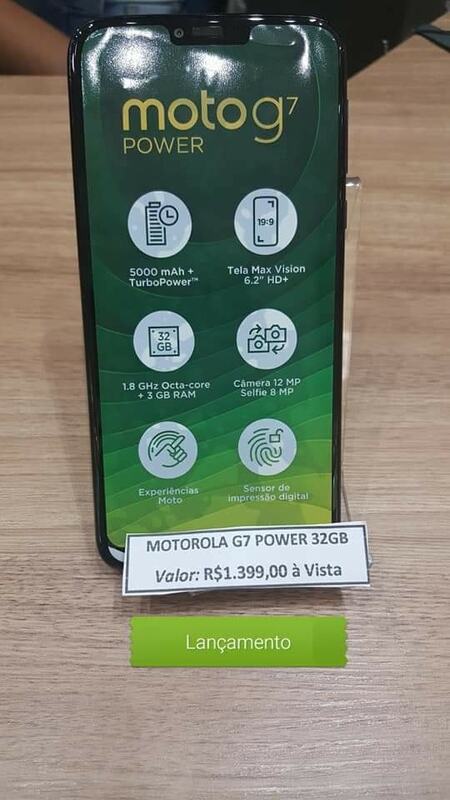 Coming to the pricing, the price of Moto G7 Power in Brazil is going to be R$1,399 or $370. Well, we are sure that this is not the price at which the phone is launching in markets outside of Brazil.